If you are looking for a sophisticated masculine scent when you shave, then you have found the perfect wet shave with our Smoked Birch & Amber shaving jar. The smoked birch scent ads a leathery note while the amber brings hints of vanilla, patchouli and musk. This scent will make you want to put on your smoking jacket and relax with a glass of brandy! Our shaving soap is made with olive oil and Shea butter for a rich and creamy lather. Also included is bentonite clay for a slick gliding surface for your razor. 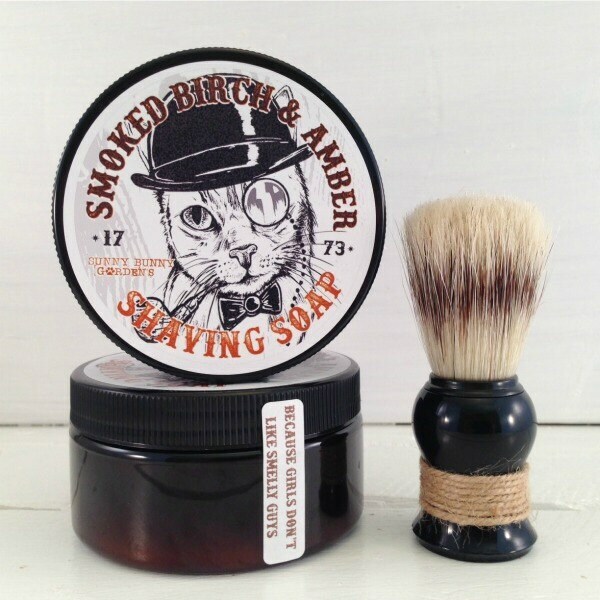 New to shaving soap? It is so easy to use! Wet your brush under running hot water. Make sure the brush bristles have soaked up the hot water. Lather up the soap using circular motions directly in the container. Apply to your face and shave! Its that simple! Is this item for a gift? Don't forget to order a gift bag and note card to go with your gift! Click https://www.etsy.com/shop/SunnyBunnyGardens?ref=l2-shopheader-name§ion_id=16515677 to choose beautiful gift bags and cards! Love this product. It smells amazing and is a fantastic gift item. 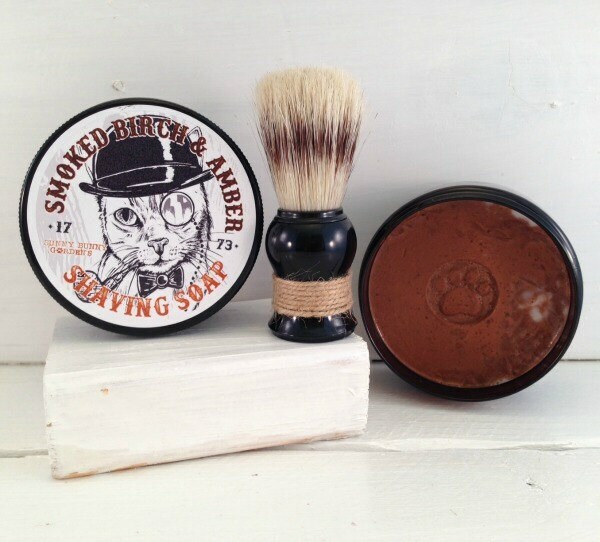 My first shave was great with the Smoked Birch Amber soap. 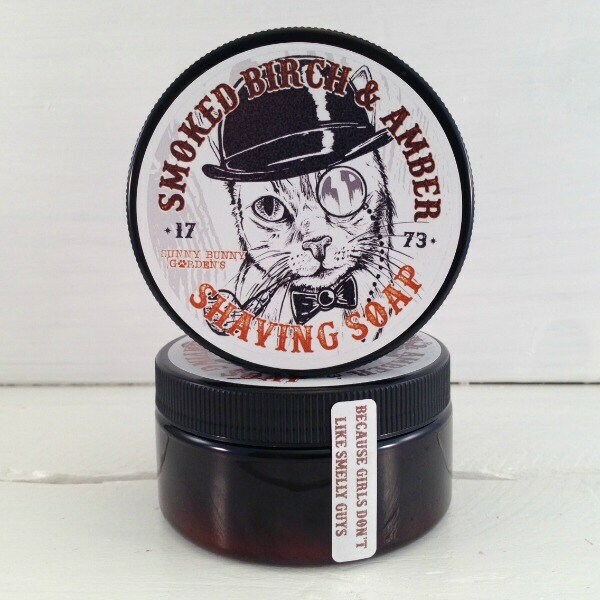 Fast shipping form this excellent seller, the shaving soap has an awesome scent. Thanks so much! Very timely shipping, generous size for a shaving soap! I love the smell, hope he enjoys it too!